What's wrong with bottled water and vending machine water? We at WhatsTheBestWaterFilter.com believe that the bottom line is that Multipure water filters give you healthier water than bottled water or vended water. And all those plastic bottles are not good for our planet! So we recommend that you GO GREEN with a Multipure! Read on to learn WHY! Since bottled water is practically unregulated, do you want to trust them to provide you with healthy water? Natural Resources Defense Council (NRDC) pointed out in their report, "Bottled Water: Pure Drink or Pure Hype?" that as much as 40% of all bottled water is the same as Municipal tap water! The report also states that 60-70% of all bottled water is exempt from FDA‘s bottled water standards‚ because it is bottled and sold within the same state. Unless the water is transported across state lines‚ there are no federal regulations that govern its quality! Secondly, the plastic the water is contained in may well be leaching chemicals into the water. We do know that some plastic leaches BPA and phthalates into water. * There could be others we don't know about. Why take the chance? 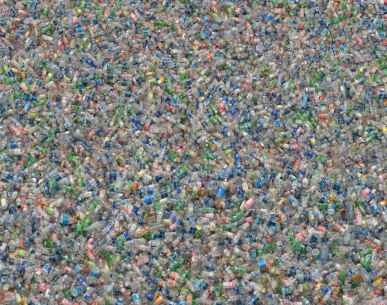 All these billions of plastic bottles are causing a major problem for our environment! With the chemicals the plastic is made from going into our soil and eventually into our water supply, this is a major problem! Why do this? We don't need to! 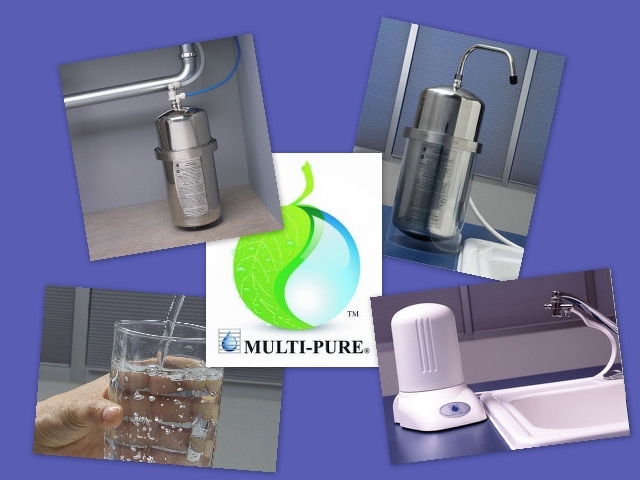 Get a reliable NSF Certified Multipure Water Filter instead! It's so convenient to simply fill your own stainless steel or BPA-Free reusable bottles right at your own tap! What about those self-service water machines or water stores? Do you know how often the ones in your area are tested or maintained? Do you know what kind of filtration is used and whether the filters are changed periodically as they need to be? Do you know if the filters are NSF-Certified to remove the contaminants of health concern such as trihalomethanes, arsenic, mercury, asbestos, PCB's, lead and chlordanes? ***Drinking-water quality and issues associated with water vending machines in the city of Los Angeles. And what about the plastic bottles you are refilling? 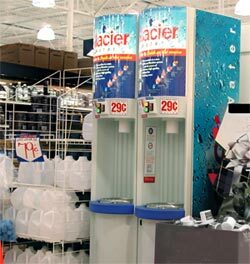 Do you know that many of the plastic bottles used to carry water to and from these machines and stores are not designed to be re-used and can actually leach plastic chemicals into the water after many uses? Unless you're using glass you may be drinking suspected carcinogens leached from the plastic bottles. What about water vending stores? Are they okay? I went to 2 water stores in my area and asked them whether the filters they used were NSF-Certified or not. They looked at me like I was from another planet. Enough said. It should be noted that they are regulated in California under the same rules as water vending machines, and we have already read above how well that is going. 1) Are you using NSF Certified filters? If so what are they certified to reduce? May I see the NSF Certificate for those filters? 2) Do you inspect and change the filters regularly? Can you show me proof of that? Or, maybe it would be easier to just buy a Multipure NSF Certified carbon block filter and/or Reverse Osmosis system, and not have to lug bottles back and forth from the store or machine! And this way you will know for sure that your water filter at home is changed properly and that it filters the contaminants you want filtered per NSF standards and certification! The bottom line on this is that we just don't know what we are really getting when we buy water from water machines or water stores. If operated responsibly they might be okay. I for one am not willing to bet my health on it. 1) Multipure filtered water is cheaper than bottled water. If you're buying bottled water you're probably paying $0.40 - $2.00 a gallon! But after you recover the cost of the system, your Multipure filtered water only costs about 10 cents a gallon! Plus, there is the convenience of having it at your tap, saving you gasoline, time and effort to get to and from the store and saving you chiropractic or doctor bills from lugging those big heavy bottles around! How does drinking bottled water affect the environment? "1. Isn't bottled water safer than tap water? No, not necessarily. The NRDC (National Resource Defense Council - a non-profit organization) conducted a four-year review of the bottled water industry and the safety standards that govern it, including a comparison of national bottled water rules with national tap water rules, and independent testing of over 1,000 bottles of water. Our conclusion is that there is no assurance that just because water comes out of a bottle it is any cleaner or safer than water from the tap. And in fact, an estimated 25 percent or more of bottled water is really just tap water in a bottle -- sometimes further treated, sometimes not. 2. Is bottled water actually unsafe? 3. Could the plastic in water bottles pose a health risk? 4. How can I find out where my bottled water comes from? 5. How can I determine if bottled water is really just tap water? 6. What actions can I take to improve bottled water safety? require bottlers to display information on their labels about the levels of contaminants of concern found in the water, the water's exact source, how it's been treated, and whether it meets health criteria set by the Environmental Protection Agency and the Centers for Disease Control for killing parasites like cryptosporidium. 7. How does drinking bottled water affect the environment? In 2006, the equivalent of 2 billion half-liter bottles of water were shipped to U.S. ports, creating thousands of tons of global warming pollution and other air pollution. In New York City alone, the transportation of bottled water from western Europe released an estimated 3,800 tons of global warming pollution into the atmosphere. In California, 18 million gallons of bottled water were shipped in from Fiji in 2006, producing about 2,500 tons of global warming pollution. And while the bottles come from far away, most of them end up close to home -- in a landfill. Most bottled water comes in recyclable PET plastic bottles, but only about 13 percent of the bottles we use get recycled. In 2005, 2 million tons of plastic water bottles ended up clogging landfills instead of getting recycled." It is my hope that everyone will get off the plastic bottle habit and Go Green by using a filter that is certified by NSF to reduce the widest range of contaminants! We know you'll be glad you started using a Multipure water filter and got off the bottled water habit!